Home » Religious Deception » Cross: The power of God? It is not the cross but the sacrificial death of Christ on the cross that had saved and will save believers in Christ. Therefore, the proposition that the cross is a manifestation or extension of the ‘power of God’ has no logical basis for Roman Catholics to kneel before it. 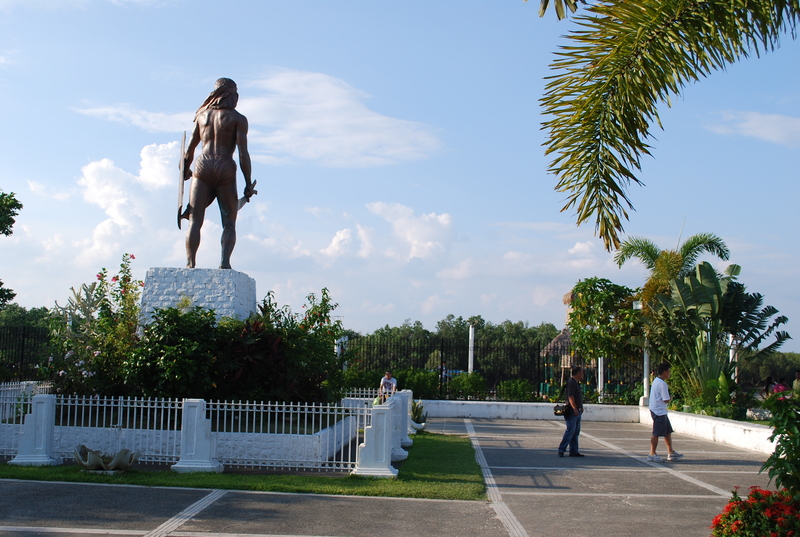 Lapu-lapu’s tabak was able to defeat Ferdinand Magellan in 1521.But Filipinos are unlucky because Magellans’ cross was resurrected in the Philippines by Roman Catholicism.http://www.wordatthenet.com. Besides, said teaching simply limits the limitless power of God because His power manifests in everything. Also, based on the above premise, it follows that it is not good for one to serve, kneel and bow down before the cross located in the altar, streets, etc. while attending mass or praying publicly in the streets or inside the alleged churches or Roman Catholic buildings. Neither, it is good for one to make a ‘sign of the cross’ when praying because by doing so, the southern cross is being revered instead of God. In other words, one could become a ‘cross believer’ instead of a ‘God believer’ by doing so. You can’t be considered at the same time as a God believer because God prohibits bowing or serving to any images of anything, either in heaven, on earth or underneath the sea. Also, it is not good for one to kneel and bow down before the alleged image of Christ being crucified in the cross because nobody knows exactly the image of Christ at present. For all you know, his alleged image was merely copied from the image of maker’s neighbor or from an unknown person. In fine, you are not assured of remembering the true Christ. In most probability, you will be reminiscing a false Christ. Besides, it is not a violation of the Ten Commandments, if you will not serve, kneel or bow down before the alleged image of Christ or the cross. But on the other hand, you will violate the commandment if you do so, despite the contrary teachings of your priest. However, both verses, which were taken from St. Paul’s opinion, do not say that the ‘cross is power of God but referring to the message of the cross and do not refer to the Christ’s physical cross literally because the cross where Christ was crucified was not bought and owned by him. Also, they do not require making the “sign of the cross” or putting said image in the altar, which are being done by Roman Catholicism today and for several millennia. In fact, right after St. Paul said the verses, it took several decades before the physical cross was adopted by the alleged church-that is-when Constantine the Great of the Roman Empire started to influence the early Christians and contaminated the teachings of Christ and the old testament, most especially, the ten commandments. Even assuming that basing on above verses, it is logically correct to conclude that “cross is a power of God’, the same would not prevail over the prohibition by God pertaining to images, which is part of the Ten Commandments. In other words, if placed in a situation of choosing between the statement of opinion of St. Paul and the words written by God himself, the words written by God prevail. To stress, the physical cross is a carved image or likeness of southern cross, which is a small constellation located in heaven. Finally, if putting the cross in the altar or making the sign of the cross when praying are indeed part of the early Christian’s beliefs, the Apostles and the early Christians, including Christ himself, would have just caused putting them expressly in writing in the new testament and not waited for several decades for Constantine the Great to come up with his alleged historic doctrine. By aaphil in Religious Deception on February 17, 2014 .